In the summer of 2012 – to celebrate 50 years of Jamaican Independence – we premiered WORD SOUND & POWER: Reggae Change My Life at the British Music Experience in the 02. 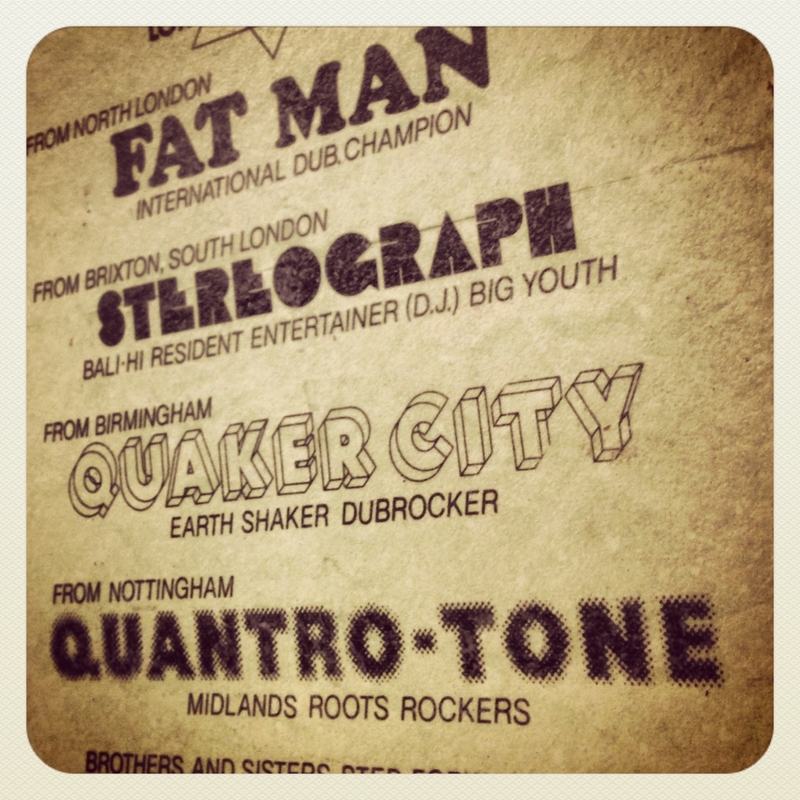 Supported by the Arts Council Of England the exhibition delivered a visual journey that traces the evolution and impact of Jamaican music…ska, rock steady, reggae, dub… in the UK. At PAINTED PRINTED PLAYED – which has been curated by celebrated painter Gina Southgate – we have extracted a few pieces from Word Sound & Power that pay homage to the Sound Systems that traveled the length and breadth of the nation bringing the latest music & news to the Afro Caribbean communities. If you are interested in buying artworks, prints, postcards etc. check http://www.stereophonic-supply.co. This entry was posted in Just Runnings, Words, Sound & Power and tagged Blacker Dread, Gina Southgate, PAINTED PRINTED PLAYED, Reggae, Rich Mix, Sir Coxsone Outernational, Sound System, Word Sound & Power. Bookmark the permalink.